Tusshar Sasi	 May 4, 2018	 Leave a Comment on “102 Not Out”… Daddy is always right! There is something about the good kind of déjà vu. I would say those of the Hrishikesh Mukherjee sorts when it comes to Hindi cinema. Minutes into Umesh Shukla’s 102 Not Out, you sense how that is exactly the route which the filmmaker intends to take you on. Mind you, the film is about a father-son duo who pretty much belong that era – of simplicity and rooted relationships. 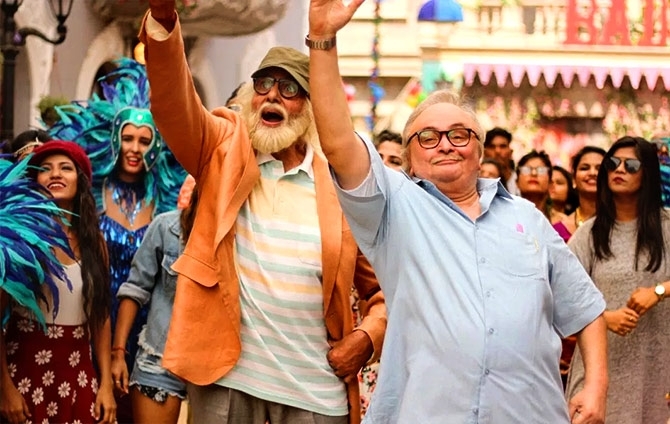 For those who haven’t seen the film’s promotional trailer, 102 Not Out is about a centenarian father Dattatraya (Amitabh Bachchan) and his 75-year-old son, Babulal (Rishi Kapoor). They live in their modest yet sufficient abode in a well-to-do Mumbai suburb. Diametrically opposite in terms of characteristics and personal goals, their life is largely sedentary with the latter’s story being stuck on his estranged son. Now, this is a template story which has been seen and told umpteen number of times. Umesh Shukla’s execution, in true Hrishikesh Mukherjee fashion, kicks off with the narrator (Vijay Raaz) taking us through the film’s (few) characters and minimal setting. This continues through a series of sequences, which would otherwise look frivolous, but not in the world that Shukla wants to paint. It might even look Utopian in absence of too many characters [there are just three, incidentally] but the film has its heart perfectly in place, which makes us warm up to it instantly. The finest moments in 102 Not Out are towards the midpoint where the loving Dattatraya sends his son off on a beautiful nostalgia trip. 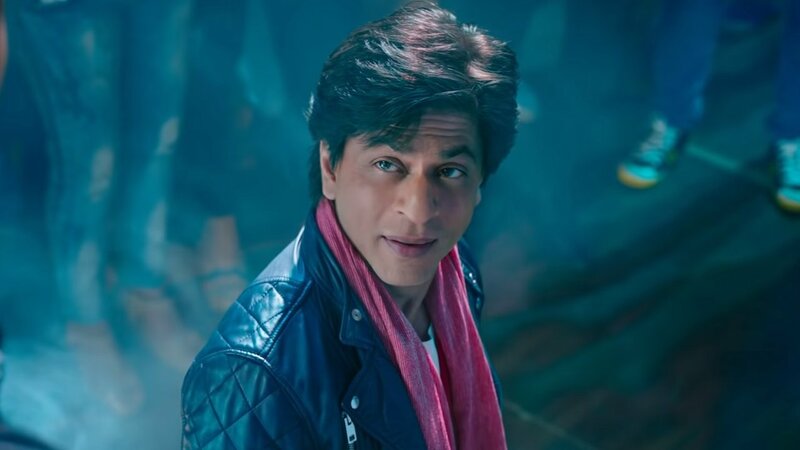 Filled with some lilting background pieces (including a frothy Sonu Nigam song), it is hard not to relish this brief stretch sans a heavy heart and wet eyes. The film soon proceeds to an emotion-heavy second half that, precisely, becomes its prime glitch. Having balanced the humour and emotional bits quite organically in the preceding scenes, 102 Not Out gets high on confrontations towards the finale. Yes, the actors hold the screen extremely well but the weighty moments in quick succession render the film disturbingly telltale. Of course, it does lead to a warm climax but the final trajectory is so heavy that you can’t digest the need behind the same. Particularly unsatisfying is the twist towards the end, which nearly makes the film yet another soppy melodrama. Simplistic for most parts, the heavy exposition in writing reminded me of the recent Hichki. Both films do succeed in imparting a fuzzy feeling but what remains is an element of what it could rather have been. Making up for this common Hindi cinema hitch are powerful performances from the leading men. Well, it does take some time to fathom Bachchan’s prosthetics and heavy Gujarati accent and once you do, 102 Not Out is a cakewalk. Even better is Rishi Kapoor as the embittered Babulal who undergoes a transformation thanks to his father’s efforts. Jimit Trivedi is excellent as the third wheel in the senior citizen’s life. Characterization-wise, too, we are not told about these men and their larger worldviews but their immediate intents and emotions stand well-articulated. The writing – albeit in a broad, unlayered fashion – makes sure to examine the human tendency to worry about a helping hand once old age sets in. 102 Not Out is also notable for not having relied on a younger face, even for promotional purposes. There are no women in the enterprise either. 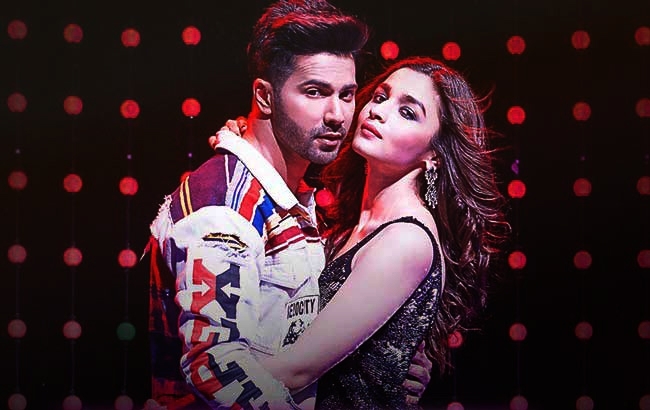 In a disturbingly biased, sexist, ageist industry that Bollywood is, the film is a dare in multiple ways as it comes sans full-fledged songs or an ensemble cast to up the ante. Nevertheless, going by what Umesh Shukla and the writer Saumya Joshi have to offer, the film is designed to impress those who love minimal, plot-driven cinema which comes with its generous share of cinematic liberties. Previous Post“Avengers: Infinity War”… An overlong space epic where the villain leads the pack! Next Post“Omerta”… A phenomenal Rajkummar Rao elevates this markedly purposeless biopic!